Evan Edwards faces another lonely Christmas in the dorm, so when he chances upon a rain-soaked ad for holiday room and board in exchange for decorating, he wastes no time in driving to the empty home, dreaming of a cozy, if lonely, Christmas. Across the street, Rise' Larkin is also home from school, and has some bad news for her dad. As Evan and Rise’s friendship deepens, and Christmas nears, Evan discovers he’s been decorating the wrong house. Will this mix-up ruin everything? I am starting to get hooked on novellas/novelettes, shorter complete books that are longer than short stories but shorter than a full length book. They don’t have time for complicated plots or side stories, yet have nicely developed characters and a problem to solve. For Evan Edwards, it’s what to do with himself. As a student he’s looking the future in the nose, as a musician he knows he needs something else that will push his playing to the next level. As a son he feels like a failure to a mom who is constantly on the lookout for the next man. For Rise Larkin, the problem is how to tell her father her life is a disaster but she’s already started a do-over about which she’s worried he won’t approve. 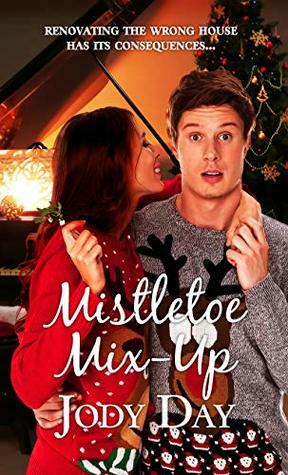 Mistletoe Mix-Up is a cute story of two lonely hearts finding home and a future and making peace with the present through an odd turn of events one special Christmas. 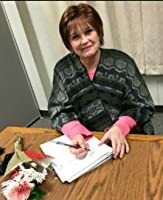 Jody Bailey Day writes inspirational fiction, poems, and devotionals looking through love colored glasses - the love of Christ.